The internal modules DIG-INP-3 and DIG-INP-6 have been mainly designed to be fitted with optical encoders used in the measurement of the breaker travel and velocity. 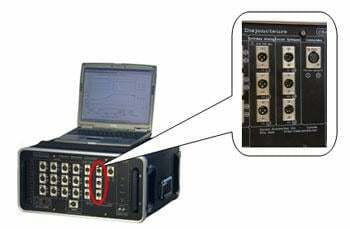 The digital inputs can come in addition to the existing analog inputs already available on the circuit breaker analyzer CBA-32P or they can completely replace the analog inputs if you choose the DIG-INP-6 option. The digital inputs are designed to be used with the optical encoders ZOT-2000 and the displacement measurement kits KIT-ZLR, KIT-ZMS, and KIT-ZHPL.